We have been repeatedly asked to comment on newspaper reports concerning an alleged ‘proof of evolution’, namely mutant chickens with a set of teeth. This photo of the mutant chicken embryo shows it with its set of toothlike structures very similar to that in both reptiles and some (now-extinct) birds. So were its ancestors reptiles—or birds? This evidence fits both viewpoints. Click for larger view. Today, of course, neither chickens nor any other birds have teeth. So this is supposed to be proof that chickens and other birds descended from reptiles which did. The reports in the popular press refer to an article that appeared in early 2006 in a reputable journal.1 The authors reported that a mutant chicken turns out to have had tooth-like structures in its beak. It also had serious limb defects and died shortly after it was hatched. This particular mutant was born some 50 years ago; it seems that no-one noticed its teeth. It is important to note that even the most fanatical evolutionist is not suggesting that this single mutation somehow created all the information needed for teeth. The obvious conclusion (which we would support) is that the information for forming teeth is there in all chickens, but not normally expressed. Actually, this is neither new nor surprising. More than five years previously, in the Focus section of our Creation magazine (21(2):7–9, March 1999) we reported on a similar announcement. Scientists at the University of Connecticut had been able to grow a tooth, using tissue from the egg of a chicken. Of course, this was touted as proof that birds had evolved from reptiles. Stripped of evolutionary assumptions, it shows that the gene pool of the chicken’s created kind included the capacity to generate teeth. In other words, the genetic flexibility (variety) existed in the original gene pool to generate daughter populations in which some had teeth, some didn’t. But in reality, toothed birds in the fossil record also have the same type of teeth, which fits creationist expectations just as well. From that, one would expect that even though no birds today have teeth, there would have once been such birds. And in fact, extinct birds are known from the fossil record which did have teeth (while others did not). ‘… the loss or “switching off” of genes expressing the development of a tooth, like the “loss” of wings in some birds, or of eyes on fish in caves, is not an indication of how the information for such structures arose by natural means. “Devolution” would be a better term. Of course, evolutionists will try to say that these chickens inherited this ‘switched-on-again’ tooth information from their reptile ancestors. The cone-like embryonic teeth of these mutant chickens (which, the researchers say, would likely be reabsorbed anyway if the chickens survived to maturity) certainly resemble those of the archosaurs, a group of reptiles which includes crocodiles. But in reality, toothed birds in the fossil record also have the same type of teeth, which fits creationist expectations just as well. All are agreed that these mutant chickens developed their teeth because they carry the genetic information for ‘tooth-making’ originally present in their ancestors, but which later became ‘switched off’. 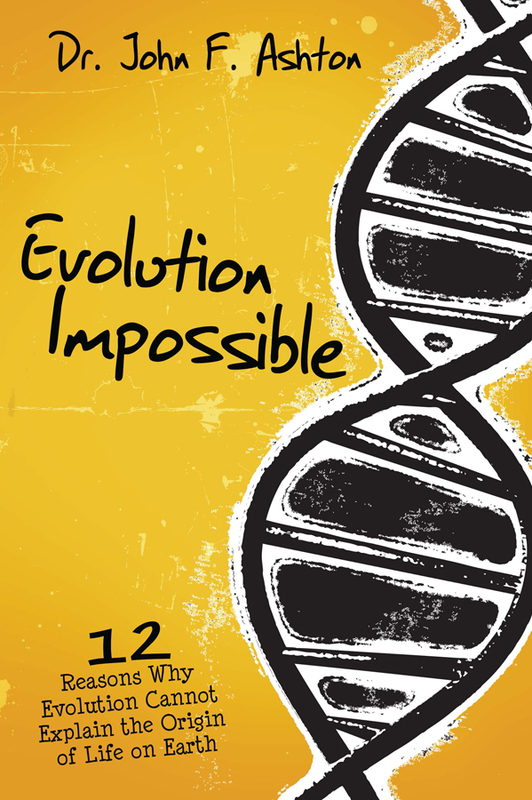 Evolutionists interpret these observations as consistent with their belief that reptiles evolved into birds. Creationists interpret it as consistent with their belief that the ancestral created kind from which the chicken is descended contained the information to generate teeth. To support this, we point to similar types of teeth in extinct birds. This discovery has enabled a fascinating glimpse of the greater genetic potential of the original Genesis kinds. Matthew P. Harris, Sean M. Hasso, Mark W.J. Ferguson and John F. Fallon, The Development of Archosaurian First-Generation Teeth in a Chicken Mutant, Current Biology 16(4):371–377, 21 February 2006. These are first-generation embryonic teeth, similar to those in an alligator which develop into adult teeth.